Group. Class. Study. Does it really matter? It’s just a name… or is it more than that? 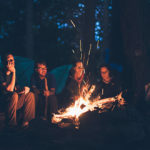 What you call your groups is the first step in communicating the purpose for gathering. No matter what your vision, strategy, and mission are, the name sets an expectation. My point here is not that one model of ministry is better than another. The point is to consider if people’s expectations match the purpose of your groups. If you visit a church that offers the following, what will you expect from each? See if your immediate reactions are similar to mine. Bible Study—I expect the time to be spent digging into Scripture. The environment may be formal, informal, on- or off-campus. The goal is to increase my knowledge of the Bible, sometimes applying biblical truth to my life. A Topical Study or Class—I expect the setting to be more formal, on campus during regular hours of worship/activities, and led by a teacher (possibly even lecture style). The goal is to learn facts and principles, sometimes applying truth to my life. Group—I expect the environment to be more conversational and hopefully meeting off-campus (preferably in someone’s home). Time is spent sharing life experiences, and discussing how Scripture informs daily life. The goal is to connect people in ongoing relationships around biblical truth. Those are just my impressions, but churches don’t always mean what I assume. All of the above are technically “groups.” They all involve multiple people gathering. Hopefully the Bible is involved. Ideally, relationships form. We intend for knowledge to grow and presumably for application to transform character and behavior as people mature. But, really, why are people gathering? What’s the purpose? 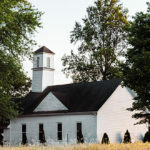 Community Groups—Is the purpose to build community with others inside the church? Is the purpose for the church to be a part of and reach out to the surrounding community? Discipleship Groups—Is the purpose reaching non-believers to make new disciples? Is the purpose to intentionally develop Christians to maturity? Is the casual Christian or non-Christian welcome or comfortable in joining this group? Small Groups—Is the purpose to have a smaller environment than the large worship gathering to build relationships and discuss biblical truth? Is the purpose to stay small, or is the goal to add people and then multiply, so that there are more groups that are each small? Can a small group get too big? If so, how small is small? Missional Communities—Is the purpose to encourage Christians to live on mission in their own circles of influence? Is the purpose to bring non-Christians into the group, introducing them to Jesus and your church community? Is the group on mission, or is the group a launching pad and refueling station for members who are on mission? Your Group Ministry—What’s the purpose? Does the name clearly communicate that purpose? If the first step in shaping people’s understanding of your groups ministry is the name, what are you communicating? What is the first impression of people inside and outside of your church in defining your groups? And the first impression can be hard to overcome. If the current name for your groups best communicates the purpose, awesome. You have a great head start to accomplishing the mission of your ministry. People are being led in the right direction intuitively. It feels natural and obvious to them. If you think another name would better communicate the purpose of your groups, you may want to make this change over time, clearly casting vision for your groups, building enthusiasm, understanding, and support for the vision, and then the name change will mark an official launch into a new season for your ministry. If you don’t have the ability or desire to change the name of your groups, even though it isn’t the best fit for the purpose, it still helps to be aware of the potential obstacle to overcome. Be extra intentional, over-communicating the values and purpose of your groups, whatever they are called. A name is important in defining the purpose of your groups, but it’s not enough. Next time, I’ll share why it’s important to clearly and constantly communicate values in your groups.